BY VISITING WWW.COLORINGBOOKOFSHADOWS.COM YOU ARE CONSENTING TO OUR TERMS AND CONDITIONS. Please read these Terms and Conditions (“Terms”, “Terms and Conditions”) carefully before using the coloringbookofshadows.com website (the “Service”) operated by Coloring Book of Shadows (“us”, “we”, or “our”). By accessing or using the Service you agree to be bound by these Terms. If you disagree with any part of the terms then you may not access the Service. This Terms & Conditions agreement is licensed by TermsFeed to Coloring Book of Shadows. The Site and Products contain intellectual property owned by the “Service”, including, without limitation, trademarks, copyrights, proprietary information and other intellectual property as well as the Company name, logo, all designs, text, graphics, other files, and the selection and arrangement thereof. You may not use in any format whatsoever any of the Site or Service content or intellectual property, in whole or in part without our prior written consent. Any copyright infringement will result in legal action taken on behalf of the “Service”. Information provided on the Site and related to our service of Business Coaching (the “Service”) is subject to change. Company makes no representation or warranty that the information provided is accurate. UNDER NO CIRCUMSTANCES SHALL THE SERVICE OR ANY OF ITS PARENTS, SUBSIDIARIES, AFFILIATES, OR OTHERWISE BE LIABLE FOR DIRECT, INDIRECT, INCIDENTAL, CONSEQUENTIAL, SPECIAL, PUNITIVE, EXEMPLARY, OR ANY OTHER DAMAGES ARISING OUT OF YOUR USE OF THE SITE OR SERVICE, INCLUDING BUT NOT LIMITED TO NEGLIGENCE. ADDITIONALLY, THE SERVICE IS NOT LIABLE FOR DAMAGES IN CONNECTION WITH (I) ANY FAILURE OF PERFORMANCE, ERROR, OMISSION, DENIAL OF SERVICE, ATTACK, INTERRUPTION, DELETION, DEFECT, DELAY IN OPERATION OR TRANSMISSION, COMPUTER VIRUS OR LINE OR SYSTEM FAILURE; (II) LOSS OF REVENUE, ANTICIPATED PROFITS, BUSINESS, SAVINGS, GOODWILL OR DATA; AND (III) THIRD PARTY THEFT OF, DESTRUCTION OF, UNAUTHORIZED ACCESS TO, ALTERATION OF, OR USE OF YOUR INFORMATION OR PROPERTY, REGARDLESS OF OUR NEGLIGENCE, GROSS NEGLIGENCE, FAILURE OF AN ESSENTIAL PURPOSE AND WHETHER SUCH LIABILITY ARISES IN NEGLIGENCE, CONTRACT, TORT, OR ANY OTHER THEORY OF LEGAL LIABILITY. THE FOREGOING APPLIES EVEN IF COMPANY HAS BEEN ADVISED OF THE POSSIBILITY OF OR COULD HAVE FORESEEN THE DAMAGES. IN THOSE STATES THAT DO NOT ALLOW THE EXCLUSION OR LIMITATION OF LIABILITY FOR THE DAMAGES, OUR LIABILITY IS LIMITED TO THE FULLEST POSSIBLE EXTENT PERMITTED BY LAW. IN NO EVENT SHALL THE SERVICE’S CUMULATIVE LIABILITY TO YOU EXCEED $10. Our Service may contain links to third-party web sites or services that are not owned or controlled by Coloring Book of Shadows. Coloring Book of Shadows has no control over, and assumes no responsibility for, the content, privacy policies, or practices of any third party web sites or services. 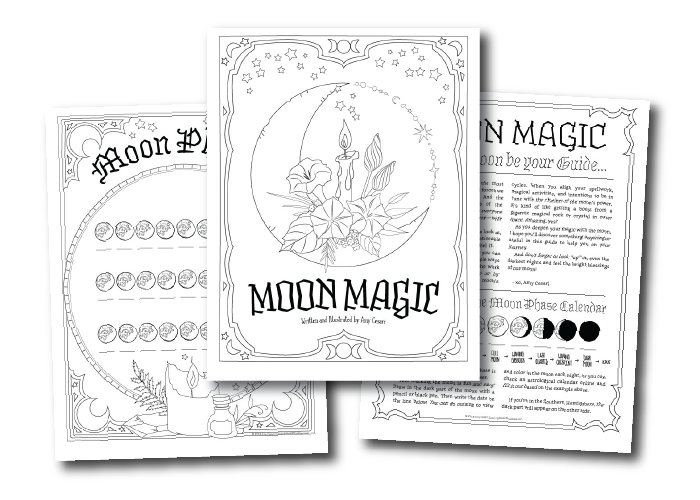 You further acknowledge and agree that Coloring Book of Shadows shall not be responsible or liable, directly or indirectly, for any damage or loss caused or alleged to be caused by or in connection with use of or reliance on any such content, goods or services available on or through any such web sites or services.